When I was a little girl, my favorite cake to bake was a Spice Cake. I thought it sounded so fancy, with lots of exotic spices. Of course I baked a lot of cakes using cake mixes, it was easy for me to do by myself, add water, oil and an egg. 20 minutes later, you have a cake! Miracle of miracles. I haven’t thought about spice cakes in years. But today, something just triggered that memory as I was looking at my very ripe bananas. 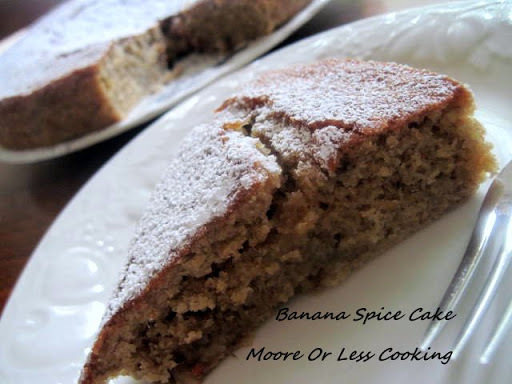 BANANA SPICE CAKE….this tiny little girl’s voice said to my brain! It has been rainy and cold and when it is rainy and cold, baking is my emotional therapy. It grounds me and makes me feel like all is well in my little world. The aroma of the spices bring me back 40 years. Wait 40 years? Yes, 40 years! 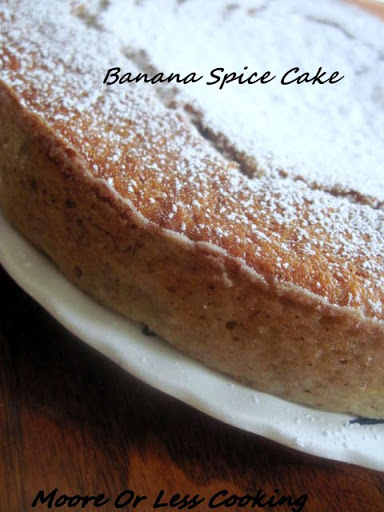 It’s time to make a Banana Spice Cake. This is long overdue. This cake is a tribute to the little girl who loved to bake cakes. 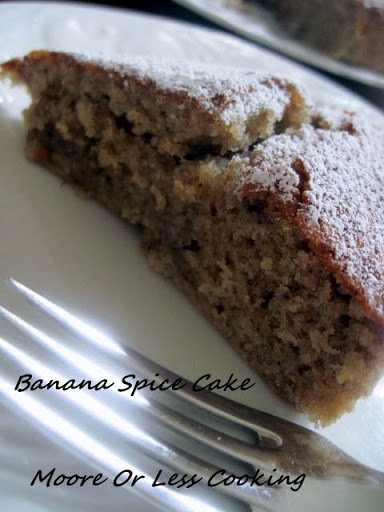 This is a treat for me who loves to eat Banana Spice Cake! 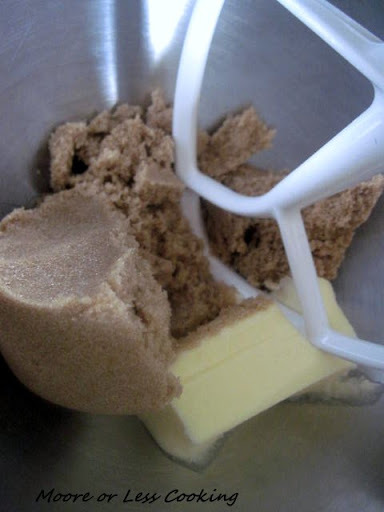 Cream butter and sugar with a hand mixer or a Kitchen Aid. Mix dry ingredients and spices together. Add mashed banana, milk,vanilla and eggs to butter sugar mixture. 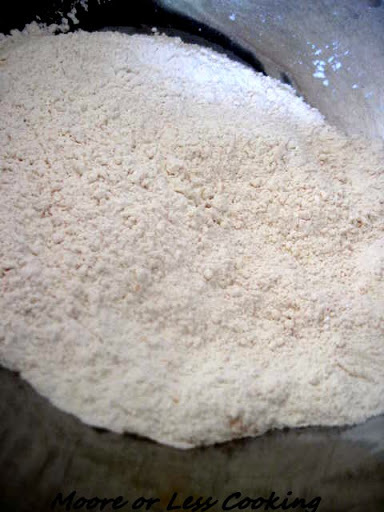 Add dry ingredients to wet ingredients until flour mixture is completely wet. Bake in a greased pan for 25-30 minutes at 350 degrees . Let cake cool for 10 minutes before taking it out of the pan and placing it on a cooling rack. You can frost this cake if you like but I prefer to sift powdered sugar over the cake. Heat oven to 350°. Grease and flour an 8- or 9-inch square pan. 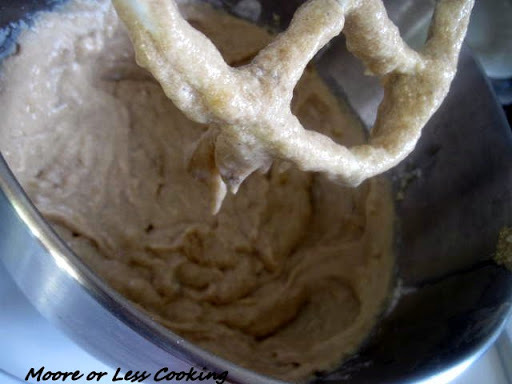 In a large mixing bowl with electric mixer, cream butter and brown sugar. Beat in egg, milk, vanilla, and mashed banana until blended. Combine remaining dry ingredients and spices. 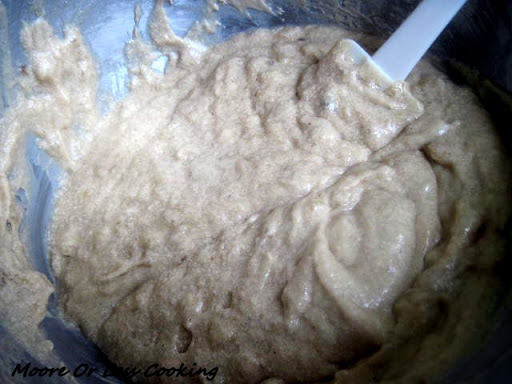 Stir the dry ingredients into the first mixture until moistened. Spread in prepared pan. Bake for 25 to 30 minutes, or until cake springs back when lightly touched with finger. Frost with a cream cheese frosting or sprinkle with powdered sugar. I have a spice cake fan in the house and I’m sure he would love this. Thank you for sharing at Foodie Friends Friday. You mentioned cake mixes. 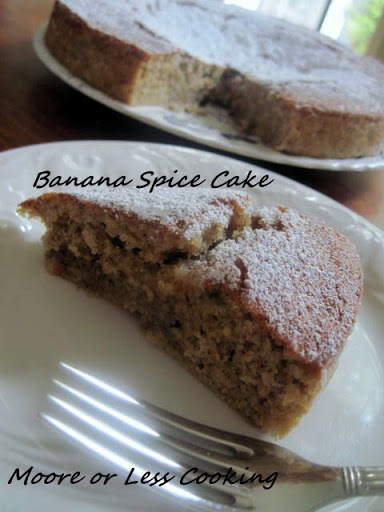 I think this would work with a box of spice cake mix and just add the mashed bananas! 🙂 I just might try that!